The Helping Hand Shoe Helper is used as an aid for putting on shoes or also as a general dressing aid/ bedroom reacher. 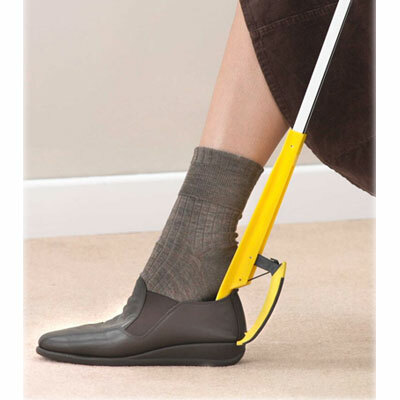 The Shoe Horn can be used as an aid for putting on shoes or also as a general dressing aid/ bedroom reacher. Comes with a lifetime guarantee! !